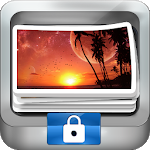 Photo Lock App is completely free to hide unlimited photos and videos. Do you want your personal life really personal? 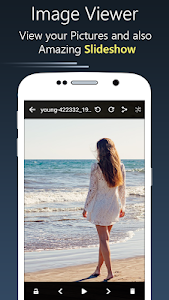 Keep Secret your gallery and No need to worry when giving your smart phone to friends and family when Photo Lock app installed in your phone. 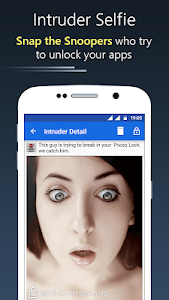 ☆ Hide Pictures & Videos: Your files will be secretly stored and can only be viewed in this app after a numeric PIN or Pattern is entered. 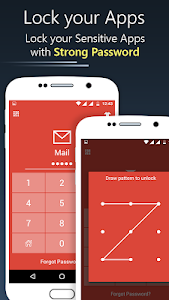 ☆ App Lock: Powerful App Lock system to lock private and social apps along with Fingerprint AppLock option for compatible devices. 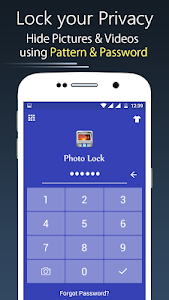 You can directly hide pictures and videos from phone gallery or SD card by sharing to Photo Lock app. Photo Lock app icon magically disappears and gets replaced with a secret icon e.g. News, weather, radio, etc. 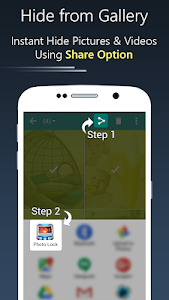 You can also start this app without icon from your phone's Settings/Apps/Photo Lock/MANAGE SPACE. 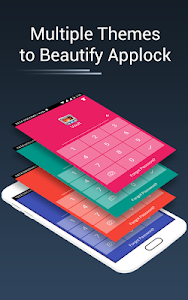 Prevents Photo Lock app from being uninstalled from kids or strangers. ✔ After you Hide Pictures and Videos, Export icon in Photo lock brings back your media whenever needed. ✔ Easily Change SlideShow interval using the Settings tab. A: Re-installing cannot recover those deleted files. 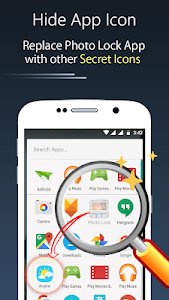 So please make sure to unhide and backup all your hidden files before uninstalling this app. A: Your files are stored only on your device and not online. 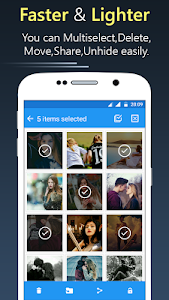 A: You can hide photos in photo locker and videos in videos locker inside this app. 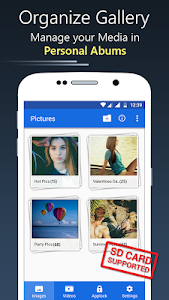 Similar to "Photo Lock App - Hide Pictures & Videos"